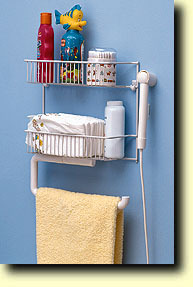 A combination storage unit is included that hangs on the wall above the ShowerBaby® within arms reach. 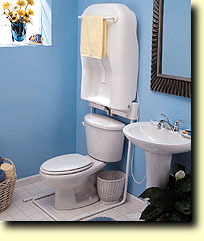 The storage unit includes two shelves, spray wand holder and a combination hand or paper towel rack. When the ShowerBaby® is raised the storage unit is concealed.